In Practice: When Ed and Linda decide to buy a house they are so happy to be working with Karen, a salesperson who leaves no stone unturned in uncovering the material facts about the property. During the inspection process they discover that the house is built on poorly compacted landfill. Also, it is determined that there was significant structural movement a number of years ago and there is evidence that the floors were made level. All this information helps Karen negotiate a better price for her clients. Several years later during a frenetic seller's market, Ed and Linda decide to sell their house. They do not call Karen to list the property and they never mention the above-stated facts in their disclosures to potential buyers. Buyers David and Rhea want to write an offer after they see Broker Bob's new listing. The broker they have been working with is out-of-town until tomorrow. Bob suggests they write the offer with him tonight when he learns that their broker will not return until the next day. Broker Jane schedules all offers to be presented on her listing in two days. A number of agents have clients who may be interested in writing offers. So far no one has written one; however, Jane tells all the agents who have shown an interest that she already has several offers. By creating a multiple offer situation, she hopes to get a higher price for her client. Betty receives an unsolicited telephone call from Broker Don informing her that he has a buyer who has an interest in buying her triplex. When she informs him that she herself is a broker and he should feel free to write an offer, Dan backs off and she never hears from him again. In conclusion, when all is said and done, the licensee's reputation as someone who works in a lawful and ethical manner will eventually put that individual ahead of the pack. Keep that in mind if you are a practicing real estate broker or salesperson. 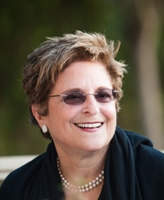 Lois Kadosh is a long time real estate educator, broker and expert witness in California. She is available for presentations and workshops at your firm, law school or BAR Association. She may be reached at (510) 525-2694 or RealEthics@jps.net.